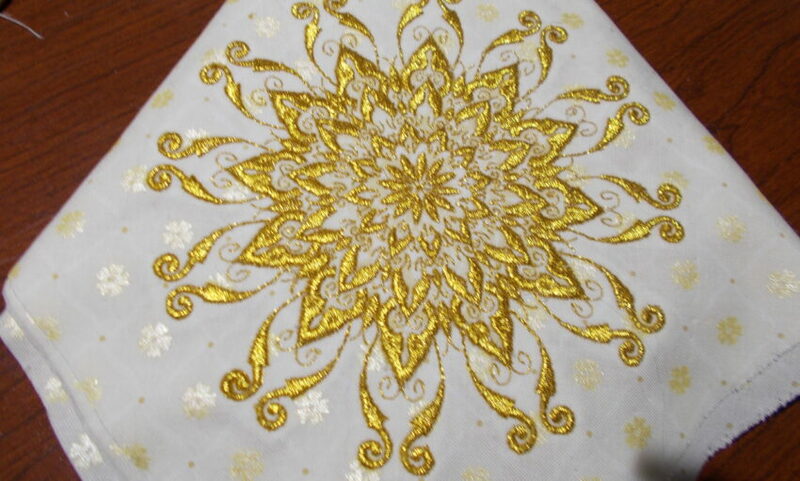 I wanted to showcase the metallic quilting as it was a challenge but so beautiful.. I went around showing everyone I knew this beautiful block. 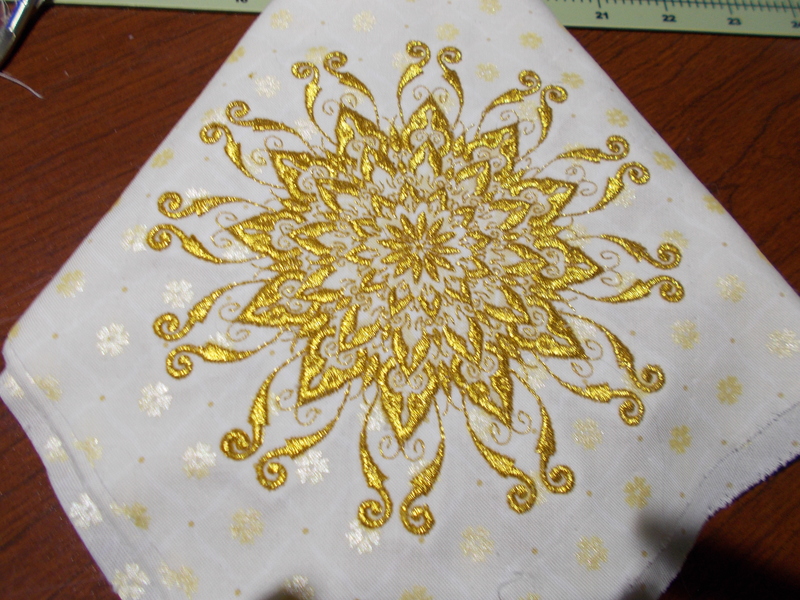 It takes me a long time with metallic as my machine did not cooperate but results were gratifying. Next Next post: Quilt top completed.